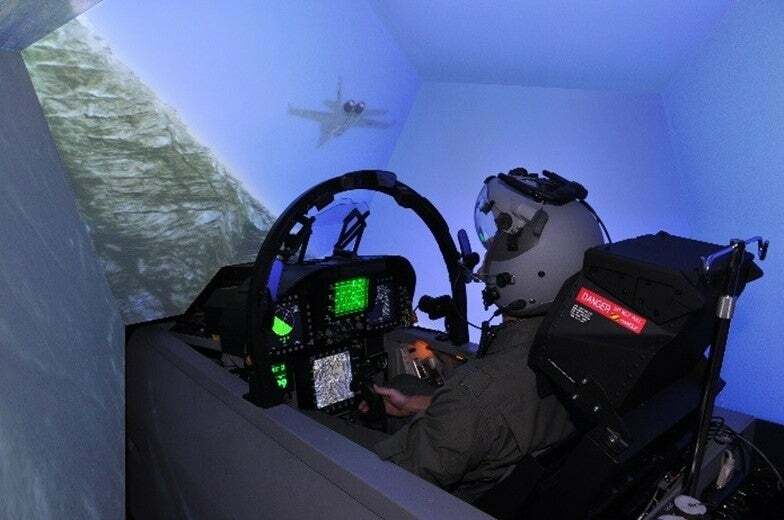 The CAeS simulation systems offer G-Cueing or Motion-Cueing to create the real sensation of the flying or driving experience in a totally simulated environment. A user quickly becomes immersed in the simulation, receiving high-fidelity sensory stimuli cues on the body that give a sustained ‘feel’ to the real experience. Those sensations of sustained G-forces are primary cues for total immersion in the simulation while moving through G-force inducing manoeuvres. The resulting high-quality experience for the operator or pilot is unsurpassable in the field of dynamic simulation for airborne systems. Our portfolio provides sophisticated G-cueing for military high-speed and commercial aircraft, as well as a driving simulation for high speed motorsport where the technology is being successfully used. The CAeS Motion Cueing simulation solutions are suited for integration into fixed-base systems without the need for 6-DOF motion and are complemented with solutions for use with a pilot’s G-suit. The G-Cueing Seat provides body stimuli in a variety of ways. Under vertical acceleration (heave) eye height changes are made to account for the vertical movement and are imparted through variations in seat bucket height. Under the same vertical acceleration, changes in lumbar pressure are stimulated by a cushion hardness change mechanism. Other acceleration stimuli for fore and aft accelerations (surge) comes from variations in back-pad pressure, whilst lateral movement of the back-pad accounts for lateral and rolling acceleration (sway). Sensations and effects are also offered for negative G-cueing, arrested landings, differential-roll, vibration caused by helicopter rotors, helicopter slung-loads, gunfire, missile launch and other in-flight disturbances. The motion cueing technology provided by CAeS has been developed over many years, with full support provided to our customers. CAeS G-Cueing, Motion-Cueing systems have easy-to-use interfaces and are provided with comprehensive Built-In-Test Equipment (BITE) and health and usage monitoring system (HUMS) features. G-Cueing simulations can replace or enhance motion platforms and can be easily deployable into concept mock-ups and in-theatre training. The aircraft technology has blended very well with the demanding motions and G-forces experienced within a racing car. The CAeS G-Cueing systems offered in motorsport are combined with the latest simulation technology and available with up to four layers of motion based technology. Available with a choice of controls, motion feedback, display systems and virtual reality.